What are the current ranks? Why can't I edit my signature? What is a special title'? Why is the special title field disabled? How do I earn koins? What are the koins for? What's the point of buying store items? Can I hide my koin totals above? How do I add items to my store? Can I remove or change the price of an item once it's been added to my my store? How do I add a custom item to my store? Registration is currently not available on FDMK Mobile. Avatars are currently disabled on FDMK Mobile. In order to enable the signature field in your profile, you must purchase the 'Edit Signature' item from the 'Special Features' store. Signatures are currently disabled on FDMK Mobile. This is simply a personal title you can give yourself on the forums. If you add a special title to your profile, it will appear above your avatar in forum topics instead of your rank. In order to enable the special title field, you must purchase the 'Special Title' item from the 'Special Features' store. You earn koins by posting messages on the forums, visiting various sections of the site, performing certain actions on the site such as rating news updates, or finding hidden sections can also earn you koins. Koins may also be awared as kontest prizes. 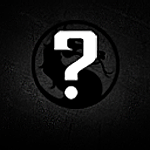 You can purchase Mortal Kombat themed items in the stores. There are also other things that will cost you a certain amount of koins, such as changing the site theme. Nothing really. It's primarily just something fun to do on the site. However, some items do unlock special features or sections on FDMK. Yes. Simply set the 'Hide my koin totals' option to 'yes' in your Profile settings. At moment, members can create up to three(3) stores. This feature is currently not available on FDMK Mobile. Go to 'My Items' to view your inventory. Check each item you would like to move, and at the bottom, select from the dropdown box which one of your created stores you would like to move your items to. You will then be asked how many of each item you would like to move (must be at least one(1), and the price you would like to assign to the item. Yes. Simply go to your created store. Check which items you would like to remove or edit, and select the action you want to perform from the dropdown box at the bottom. Unfortunately, there's no way for you to do this yourself. You must send a private message to the site administrator. Please include the item's title, description, price, and your store name (if you own more than one). Also, be sure to include an image of your item, as well.